Eat Local. Save The Planet. Be Healthy. Build Community. can reduce your own carbon footprint and live a little lighter on the planet. = less carbon per meal = healthier planet. 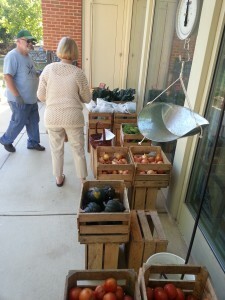 markets, Summer CSAs, and local produce on the grocery shelves and the restaurant menus. But what about eating local the other half of the year, in the Winter and Spring? flavorful salads, crisp apples, and succulent roasted root vegetables keep me warm all Winter. greens as the outside world awakens yet again. through those cold Winter Months. just as exciting and diverse as the Summer-Fall. 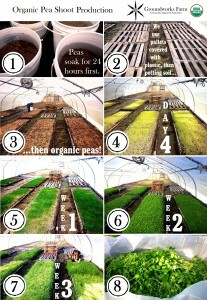 Here’s an infographic that shows the basic process we use to grow pea shoots on our organic farm. There will be some of our pea shoots in everyone’s CSA Shares this week, as well as on the menus a La Prima Catering and Vin 909 Winecafe! Leave a comment to ask any questions about the process below! This is a guest blog post from my parents Rob Brown and Brooke Alexander. Can I cut a large sweet potato in half? Yes, you can cut that sweet potato in half and save the rest for later! 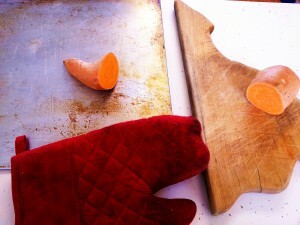 You can absolutely cut a large sweet potato in half–the unused half will heal itself right before your eyes. Sweet potatoes, a member of the morning glory family of vines, are a warm-weather root crop that grow underground like white potatoes. At the time of harvest, sweet potatoes from one plant will range in size from very small (a couple inches) to very large (a foot or more). Traditionally, small to medium-sized sweet potatoes are most desirable for retail customers because large ones are often too big to eat at one meal. 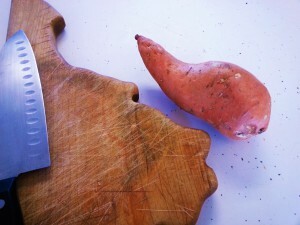 Be sure that the sweet potato has good air circulation on your counter, especially around the open faced cut. Complete healing will take a few days or more. Once healed, continue to store on your counter with good air circulation until use. This healing property is the same property that allows sweet potatoes to be harvested with mechanical equipment. Any cuts or scars created during the harvesting process can be healed if the sweet potatoes are given the proper air circulation and storage temperature. The best place to store sweet potatoes is always right on the counter with good air circulation. Your family will eat more produce. 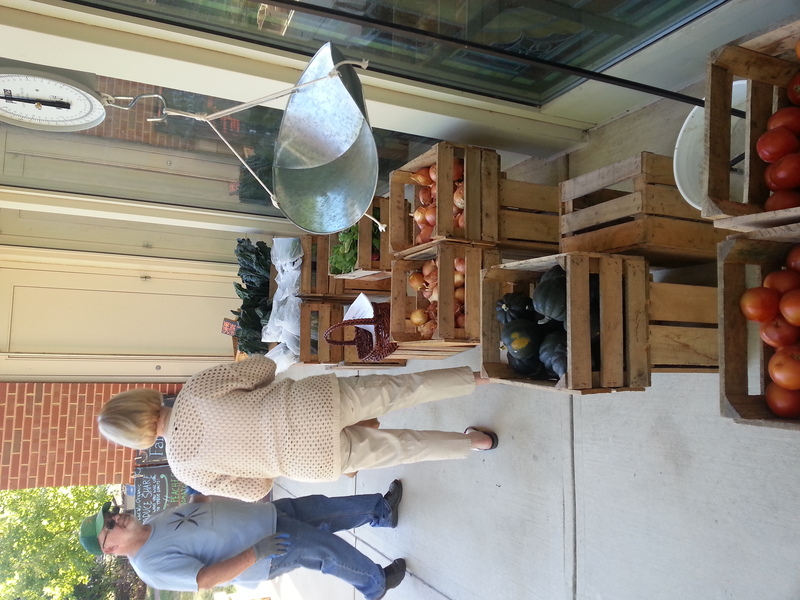 A CSA provides a constant supply of fresh produce into your home. 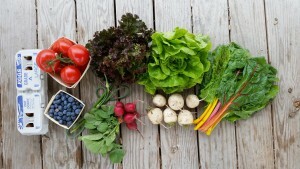 You will definitely eat more produce with a CSA Share because you will always have some on hand when you are cooking. Cooking support. A CSA provides you with relevant recipes and cooking tips each week to help you make the most of your produce. 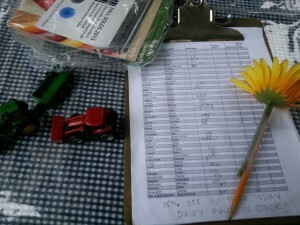 Knowledgeable CSA pickup staff are always available to answer any cooking questions you might have. Community. A CSA pickup is a community of health-conscious food-lovers who come together each week. You might make some friends at the CSA pickups or seasonal potlucks. Plus, CSA pickups are fun! Environmental benefits. By joining a CSA, you know you’re supporting the most environmentally sustainable food delivery system that exists. No middle-man, no storefront, short delivery distance, and less waste. Try new things. Get out of your cooking rut and enjoy some vegetables you’ve never heard of. You’ve got to cook and eat…joining a CSA can make cooking new and exciting every week. Save money. You’ll save money by cooking with whole, unprocessed ingredients. Connection to the land. Other than becoming a farmer yourself, there’s no more direct connection to your food, the people who grow it and the land that produces it than joining a CSA. Be happy and healthy! Overall, I think your family will be healthier and happier when you join a CSA! Health and happiness = priceless. 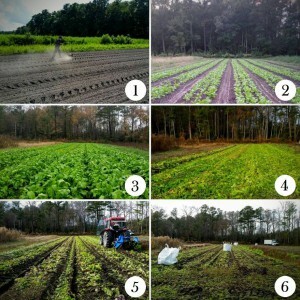 We put this graphic together yesterday with some pictures Margaret took through the 2015 growing season. 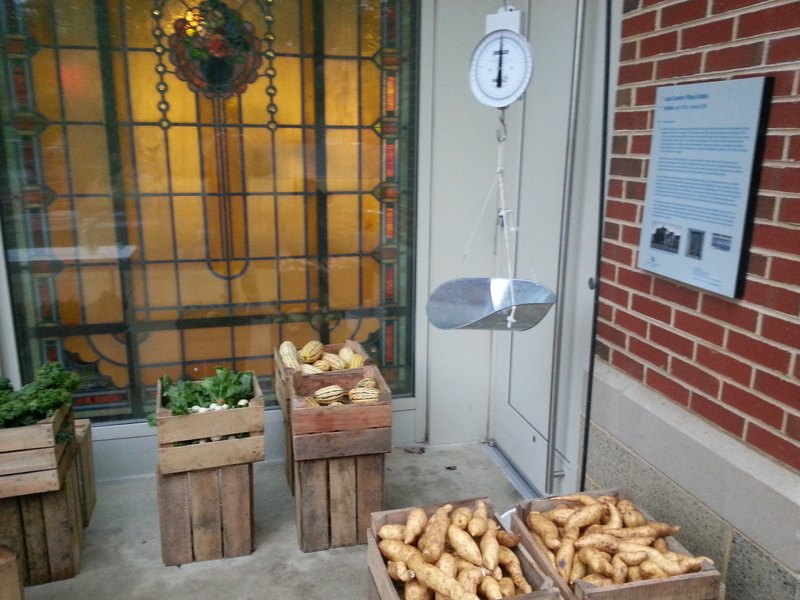 From here, we use the tractor to put the tote bags into refrigerated storage for the Winter-Spring Produce CSA Shares. The roots get taken out of storage and cleaned up just before CSA Shares are delivered. 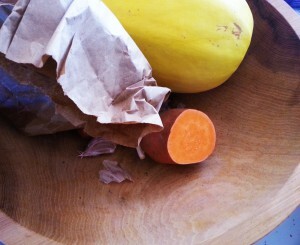 The root vegetables will store in prime condition, unwashed, for months. With the correct storage temperature and humidity, the unwashed roots continue to live in a dormant state in storage until they are distributed. They think they’re still in the ground! This is the same basic process we use for: Carrots, Potatoes, Beets, Daikon, Watermelon Radish, Black Radish, Turnips, Rutabagas, and more. Not all roots can be treated like this, however. One notable exception is Sweet Potatoes. Sweet Potatoes would rot very quickly in the high humidity and chilly storage conditions preferred by the above list of root crops. Sweet Potatoes need a high level of air circulation, a warmer temperature, and very low humidity. Maybe I’ll do another post later about our Sweet Potato and Winter Squash production system. 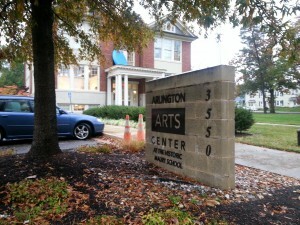 Arlington CSA members pick up on Wednesdays 3-6pm at the Arlington Arts Center. 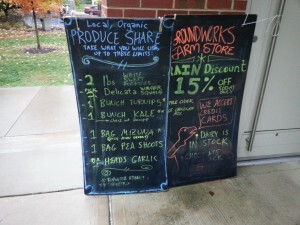 Here is a brief tour in pictures of the user-friendly setup for our Produce Share. We’re at the back of the Arlington Arts Center near the white box truck. Sign in first at the sign-in table. The produce Shares are laid out by the stained glass windows. The chalkboard on the left tells you how much produce each member can take. 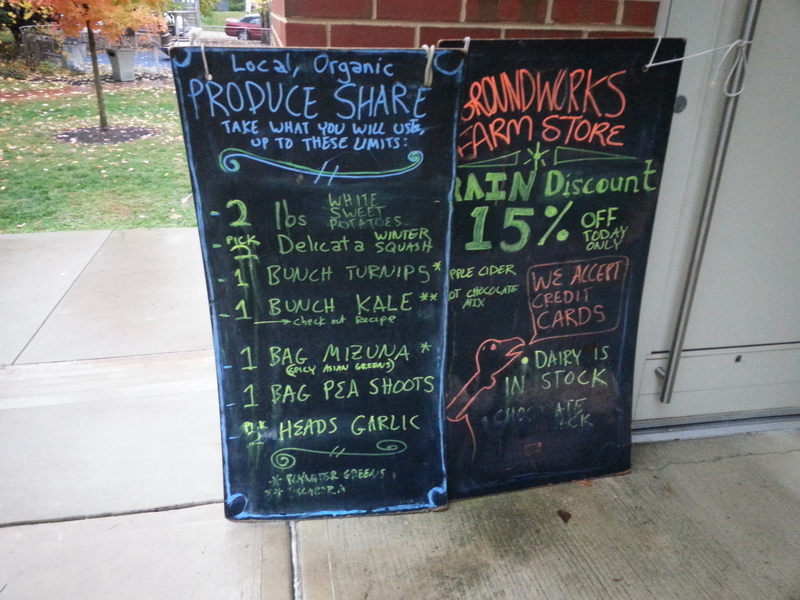 The board on the right tells you what is new and exciting in the Farm Store that you might want to try. The produce is laid out in the same order as it is written on the board. Heavy stuff first, light items last to aid in packing your bags. There are printed recipe suggestions as well as a 1 page Share Guide to take home. The Share Guide concisely recommends storage techniques and cooking ideas for each item in the Share (usually 7-8). Many people put this list right on their fridge when they get home so they know what’s in it! We’re happy to answer any questions. Help yourself to some snacks before checking out the Farm Store to get dairy, granola, extra fruit, chocolate, coffee, apple cider, honey, sauerkraut, pickles and much more! 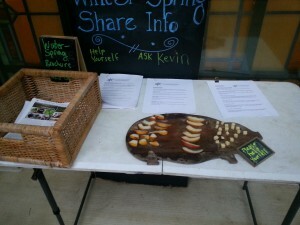 In addition to the Produce Share we offer an Egg Share, Chicken Share, Meat Share, Cheese Share, and Whole Farm Share. Check out our Winter-Spring Share page for more details on the Arlington CSA! 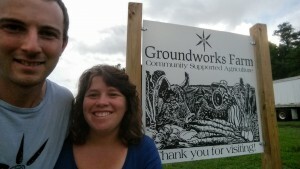 My wife Margaret and I started Groundworks Farm 7 years ago. She was 21 and I was 22 years old when we started this business and I never expected to come as far as we have come. We struggled for many years to make ends meet on leased property at first, and more recently on land we own. Now, at 27 and 28, we’ve never felt so successful or supported by our members and community. Our vision of a successful Whole Diet CSA has come true before our eyes, and I feel compelled to express my eternal gratitude to everyone who has ever helped us–and Groundworks Farm–reach this point. When we started our own farm we already had about 4 years combined experience as farm hands for other farmers, which was a great asset. But, we had no business experience, no equipment, no money, and really no idea what we were up against. Starting a farm, as it turns out, is not for the faint of heart. It is a rocky road full of the highest highs and lowest lows, as many of you know. Our first season we did one farmers market in Concord NH, and somehow we were able to round up 10 or so CSA members to pick up on the farm (then called Huckins’ Farm) in Hebron, NH. We grew produce and Pasture-raised Chicken. That first boot-strapped year we learned a lot. After that first year we had an opportunity to lease a larger farm in Vermont. We started from scratch again the very next year–moving our greenhouse and all our supplies over the winter. That next year we switched to CSA-only and started to take steps towards our dream of a Whole Diet CSA. We added hogs and laying hens to our produce and pastured poultry operation that year. We learned a lot and continued pinching pennies to get the farm started. We were there one more year and added our Meat Share option. We then had the exciting opportunity to purchase our farm in Maryland, where we started from scratch yet again. We hit the ground running–building all our infrastructure from the ground up while spreading the word and farming all at the same time! The first year in Maryland we supplied 200 families–an astonishingly high number for our first season in the area. A good sign! The second year in Maryland we supplied 250 families. This year we supply 300 families and are starting to experience recognition and success we never dreamed of 7 years ago. What we lacked in experience that first year we made up for in energy, open minds, a desire to succeed at all costs, an eternally optimistic attitude….and, A LOT of support from friends and family. Looking back now, if we had been lacking in any of these categories–especially friends and family–we would have failed. We are happy to have endured the tests of these past 7 years, and are truly grateful for the blessed lives we have lived thus far! We’ve come to find friends in our CSA members, neighbors, and partners who have come on this journey with us–and we are forever in your debt for all you have done for us. Truly we consider you all friends-and we are truly rich in friends. We have never been so committed to the goal and dream of a Whole Diet CSA as we are today, and we believe in it profoundly. Our greatest desire is to provide the best food and CSA experience possible in the most environmentally responsible manner. We hope to continue to farm for many years to come, and will keep you all informed of our continued progress. While we bake in the summer heat this week–working to keep up with everything planted–we are already thinking about winter. 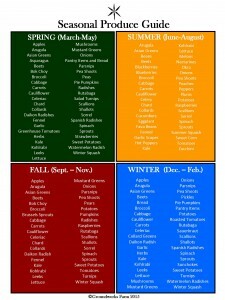 This week I am working on planning out exactly what our Winter Produce Share will look like. I am thinking forward to flavorful sweet carrots, potatoes, and tender leafy greens while harvesting summer squash and cucumbers. 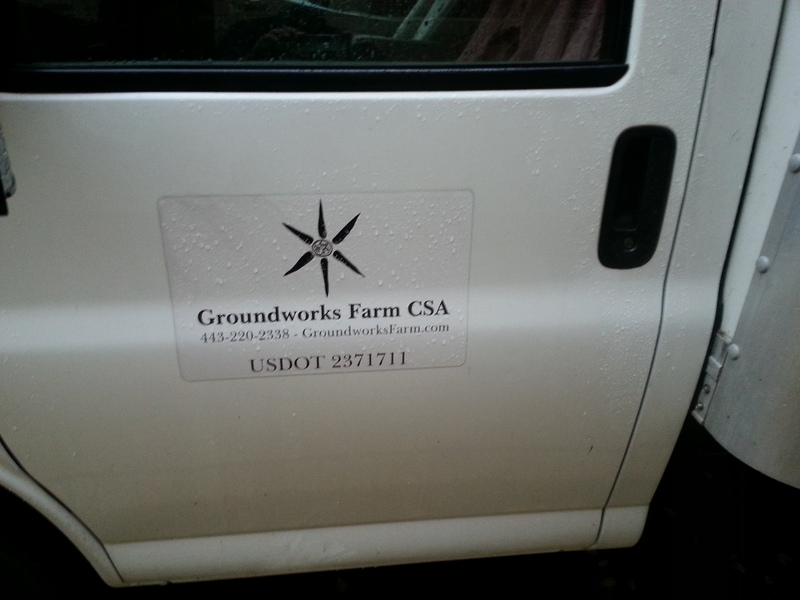 Last week Kevin was able to begin prepping ground for some fall and winter-harvested crops. We have offered a Winter Produce Share for many years now, and through much trial and error and innovation we have figured out how to put together a Winter Produce Share that is equally as diverse and bountiful as our Summer Produce Share. 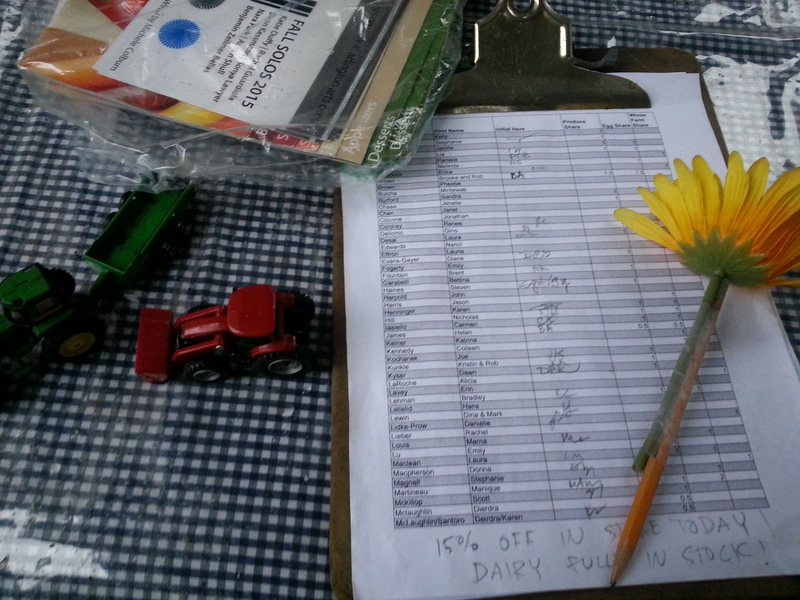 We are working on finalizing the details of this year’s Winter CSA and will have signup info out soon. As we work to hammer out those details we always appreciate hearing what you want to receive in your Share. The year before last we heard requests for more greens. I responded by adding pea shoots and a few other items to the wintertime repertoire. Let us know what you want in particular from your Winter Produce CSA Share and we will work to make that happen! Would you like locally-sourced hothouse tomatoes? Mushrooms? Dry beans? Frozen berries? Popcorn, even MORE greens? Less of something? More of something?… Please let us know if there is anything you are dying to get in your Winter Produce Share by talking with me or Kevin at the CSA pickup, or by replying to this email. Pastured Egg Shares, Pastured Chicken Shares, Pastured and Grass-fed Meat Shares, and Local Cheese Shares are also offered in the winter months. Signup details for all your Winter Shares are coming soon.